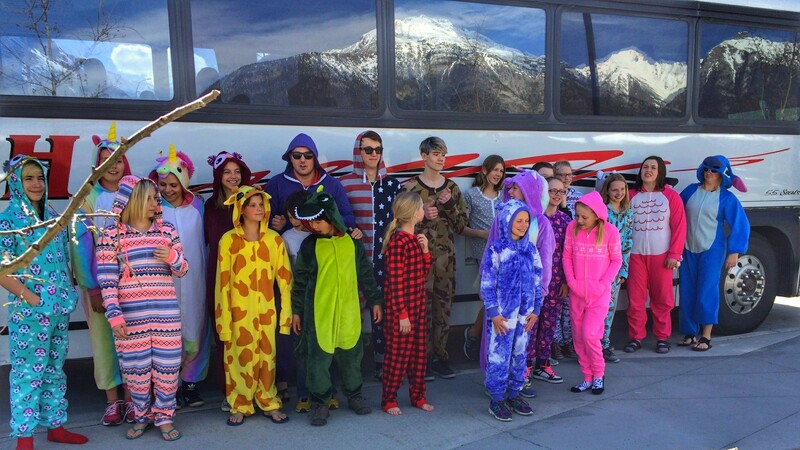 The Riptides won 23 medals and broke 15 club records at the Killarney SC Invitational in Calgary, a big two day meet featuring 350 swimmers from southern Alberta. What a fantastic weekend for the Novice swimmers! For some this was their very first competition, and for some it was their first out of town competition. I am so proud of everyone with their results and how they swam. Congratulations to you all. Andrew: 1 PB and two 2nd place finishes! Ani: Taking 26 seconds off her 50 fly! 1st in the 25 BR, and 1PB! Madeline: 2 PB’s! Awesome work! Spencer: 2 PB’s, way to swim fast! Amyryn: PB in the 100FR and a great 25 fly! Sydney S: 1 PB, and 2 3rd place finishes! Will: 1 PB, Great job! I have seen so much improvement on our ‘little things’. Keep that up and bigger results will come! 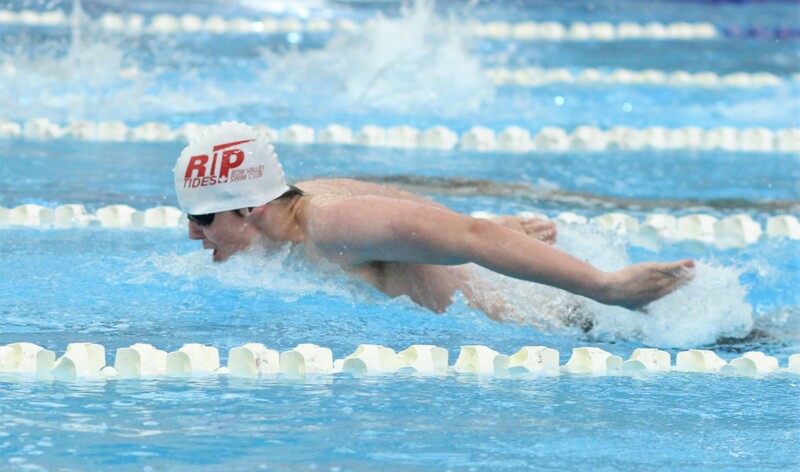 Keep coming to practice to enjoy swimming and to train hard, then compete to show how much faster you can go! Well done everyone. Ani, Kai and Neo were crowned Pentathlon champions at the 2017 Canmore Pentathlon on the weekend. The scoring format adds up swimmers’ times from 5 events, the 100 IM and 50s of each stroke (25s for 10&U). Swimmers with the fastest overall times win the Pentathlon for their age group. Great weekend for the Riptides both young and old, a big thank you to all the parents who volunteered at the meet, they do not run without you and a big thank you to our sponsors in Subway and Good Earth for the food and beverage donations. Well done to my squads who showed some great demonstrations of the techniques we have been working on at the start of the year. It takes focus and concentration to put them into practice in races and I was really pleased to see so many of the swimmers thinking about this. As well as some early speed and some great times across the board from all the swimmers. 15 Club records went down over the weekend, with 3 overall Pentathlon winners. Great start all, keep up the work in training and in the gym, it will pay off! We move on towards Cascade Speed Meet for qualifiers and then onto KSC Invitational for all. Thank you for all your support. What a fantastic weekend! I am so proud of everyone who swam this weekend. We all achieved personal best’s (PB’s) in at least 1 event if not all events. We also had some first-time winter competitors such as Maddie, Parker, Heather, Finlay and Spencer. You did amazing at your first meet! 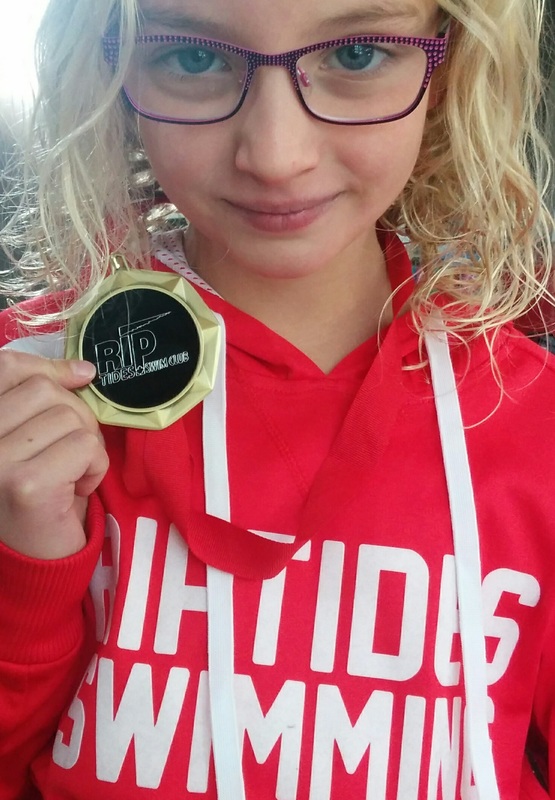 We had Ella who achieved her 50 FR and BK as well as her 100 FR Provincials standard for girls 10 and under! Wow! 2 – Our ‘little things’ as we call, such as streamlines and breakouts. We did very well on all points, but my novice groups know that more kick is on the way 😉 This month we will be working a lot on our flip turns and breakouts, more fine tuning to be done. Today they were looking very good! 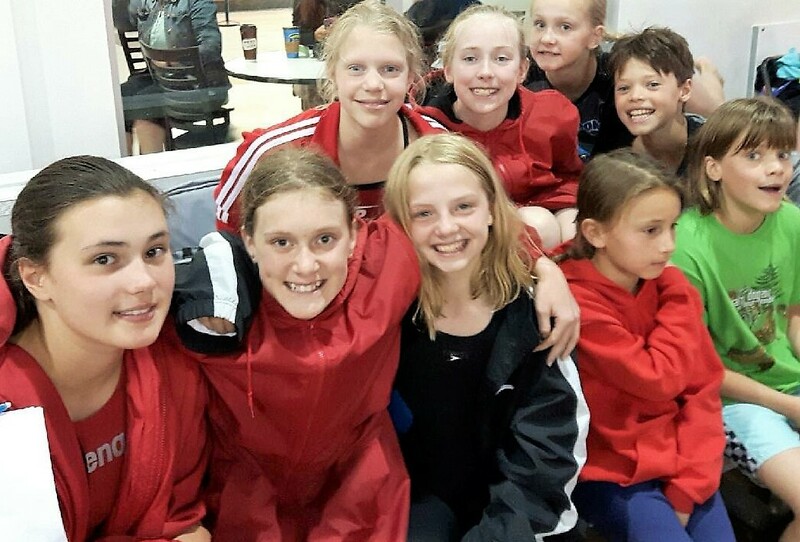 Chantal and Shallis qualified for Alberta Summer Championships and the team finished fifth, winning 33 medals and breaking seven club records at the LASC Spring Challenge in Lethbridge. 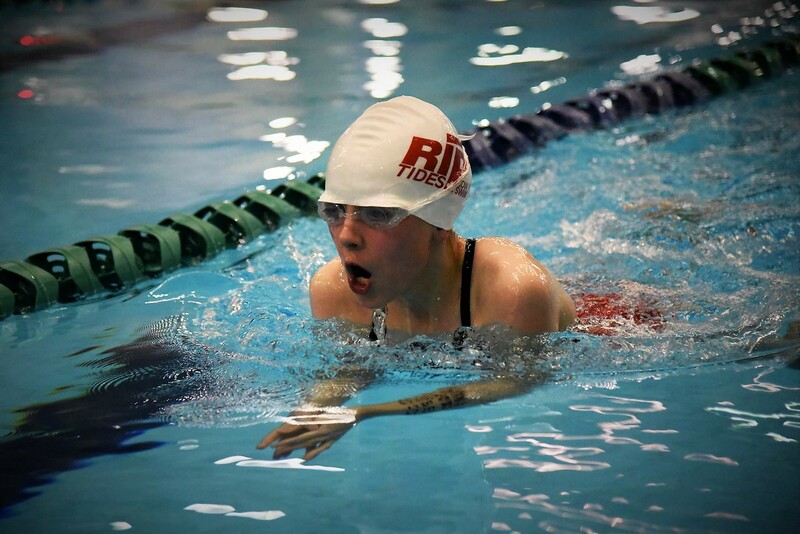 A small group of nine Riptides attended the Dino Cup and put up some big results. 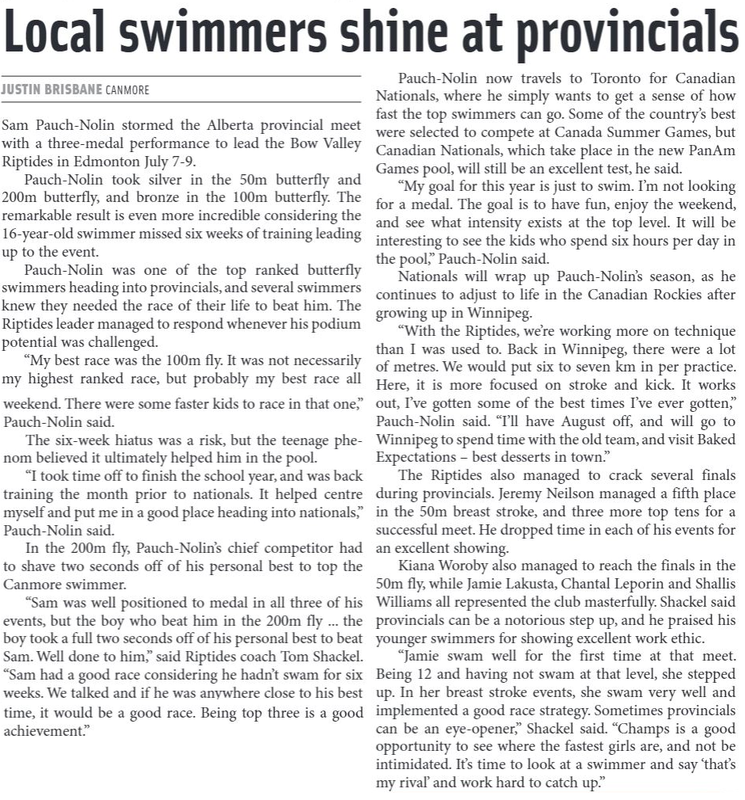 Kahlen qualified for Alberta Southern Provincials LC in June by achieving the time standard in the 200 IM and the 200 free. Natalie broke the 10&U club record in the 25 breast and Kai broke the 25 back record.